Abu Dhabi Refining Company (Takreer) has undertaken a major expansion at its existing Ruwais Refinery complex, which was commissioned in June 1981. The plant is owned by Abu Dhabi National Oil Company (ADNOC). The refinery complex is located 240km west of Abu Dhabi. The present refining capacity of the complex is 400,000 barrels per day (bpd) and the expansion will add another 417,000bpd, raising the total capacity to 817,000bpd. The new refinery unit will be located adjacent to the existing Ruwais Refinery. The expansion of the refinery complex was initially planned in 2007, but the official announcement was made in 2008. The project execution started in 2010. It is expected to be completed in 2015. The Ruwais Refinery produces liquefied petroleum gas, premium unleaded gasoline (98 Octane) and special unleaded gasoline (95 Octane). It also produces naphtha, Jet-A1, kerosene, gas oil and granulated sulphur. 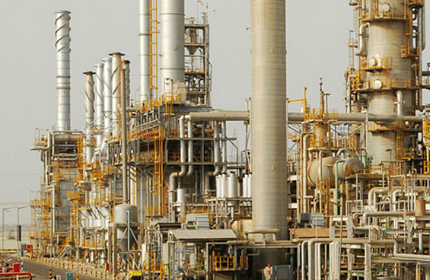 Ruwais Refinery was commissioned with an initial capacity of 120,000bpd in 1981. It witnessed its first expansion in 1985, which increased the capacity to 27,000bpd. The refinery was merged with Ruwais General Utilities Plant for the supply of power and water in 1986. A new sulphur handling and granulation units were added in 1991 to handle the sulphur recovered from GASCO and ADGAS. Two condensate processing trains were added to the refinery between 2000 and 2002. The consistent expansions of the refinery are propelled by the rise in demand for high quality refined products in Abu Dhabi. "The expansion of the refinery complex was initially planned in 2007, but the official announcement was made in 2008." The latest expansion will include the addition of crude distillation and sulphur recovery units, a residue fluidised catalytic cracker (RFCC) and a carbon black delayed coker (CBDC) unit. The CBDC unit will have a production capacity of 40,000t of carbon black and 30,000 barrels of crude per day. It will consist of two trains with a designed processing capacity of 700,000t of anode green petroleum coke. The new refinery unit will enable production of 1.1 million tonnes of propylene per annum through integration with nearby petrochemical complexes. Propylene will be supplied as feedstock to the Borouge Olefins Complex adjacent to the refinery. 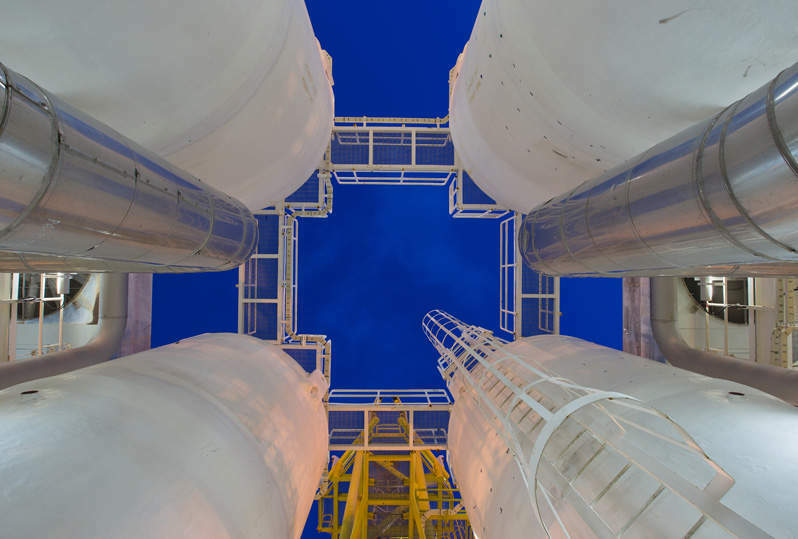 The refinery will use Unicracking hydrocracking technology provided by UOP. The process will be used along with the Distillate Unionfining fixed-bed catalytic residue hydrotreating technology for upgrading of heavy feedstock and production of ultra-low-sulphur diesel. Sulphur produced from the saturated LPG streams will be extracted by UOP’s MeroxTM process. Benzene content in the gasoline pool will be handled by BenSatTM process. UOP’s Naphtha Hydrotreating process and Distillate Unionfining process will be used by the hydrotreating unit to produce low-sulphur kerosene. A contract was awarded to Foster Wheeler Company in 2006, to conduct the feasibility study. The engineering, procurement, construction and commissioning (EPC) contracts for the expansion were awarded to four companies in four different packages. The first package contract was awarded to SK Engineering and Construction in 2010. The scope of the contract includes the construction of crude oil distillation and downstream units. "The refinery will use Unicracking hydrocracking technology provided by UOP." GS Engineering and Construction received the second package contract to construct the refining and RFCC units at the plant. The third package was awarded to Samsung Engineering for the offsite and utilities construction. Samsung Engineering also won a $2.5bn EPC contract in June 2012 for the construction of the CBDC unit at the complex. The core equipment for the unit will be designed and supplied by Technip, as part of a subcontract awarded by Samsung in May 2013. Daewoo Engineering and Construction received the fourth package contract to construct tanks and interconnecting pipes. CB&I received a $60m subcontract from Daewoo Engineering and Construction for the construction of storage tanks in the refinery. Shaw Group (acquired by CB&I) received a contract from Takreer to provide engineering services and licensing for the RFCC technology. The Fluid Catalytic Cracking (FCC) technology is, however, jointly owned by Axens (the technology developer and licensor), IFP Energies Nouvelles (R&D), Total (operations expertise) and Shaw (licensing and engineering innovation). AMB-Hertel was awarded an insulation and scaffolding subcontract by Samsung Engineering in November 2010. The Abu Dhabi Gas Industries (GASCO) Integrated Gas Development (IGD) project is aimed at adding new onshore and offshore gas processing facilities at Habshan and Ruwais in Abu Dhabi.